This week’s blog of the week is a little different because the blog More Than Mommies has not one, but two authors! One of those authors is Christine, one of our Northeast Bloggers members! Christine blogs with Janene over at More Than Mommies. They are real life friends who share a love of family, learning, teaching, and writing (blogging specifically), among other things. Avid readers, They met in 2008 during a monthly book club meeting near Pittsburgh, PA. A side conversation about Janene’s love of blogs, and creating a blog of her own sparked Christine’s interest–and their friendship grew as they wrote, read, and fell in love with the blogging community. Both Janene and Christine blogged on their own for a while and a few years (and a few kids) later, in 2012, they decided to join forces and create More Than Mommies–a blog that grew out of their love for writing and sharing. More Than Mommies has been a perfect match for these easy going, creative, and hardworking mothers of four. Christine and Janene use their passions to reach out to other women and bloggers who are looking for friendship, honesty, and who are learning to create a space of their own in the blog world. 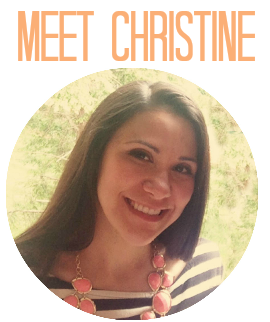 Read more about Christine and More Than Mommies by checking out her blog! Be sure to stop by and show her some Northeast Bloggers love!